The Orb is a triple-colored LED effect light that can fill any room with rotating red, green and blue beams. Two lenses create aerial effects that cover the dance floor from any position by projecting both thick and thin beams. Sound activated lights dance to the beat of the music. 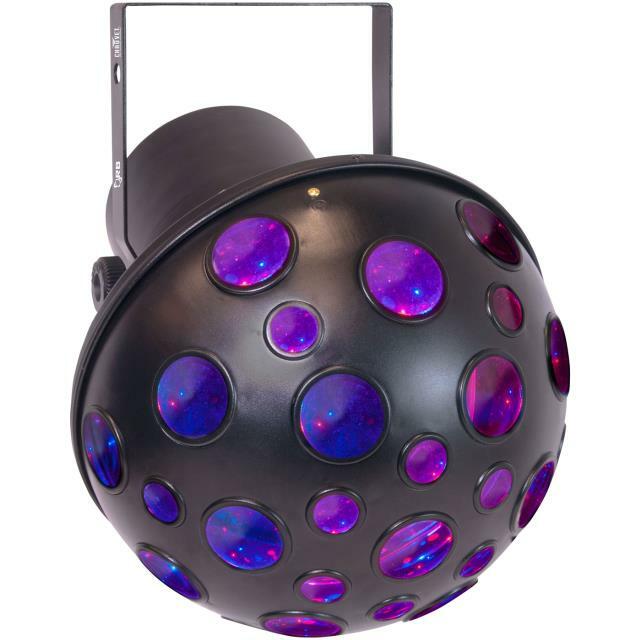 * Please call us with any questions you may have about our orb led light audio modulated rentals/sales in State College, serving Central Pennsylvania.